In this paper, the authors present a probabilistic model to evaluate the reliability of the atomic commit for distributed transactions in mobile ad-hoc networks (MANETs). This model covers arbitrary MANET scenarios as well as strict and semantic transaction models. The authors evaluate the approach to integrate a backup coordinator to reduce blocking risks. For the purpose of showing an example of a MANET scenario, the authors illustrate how the considered blocking probability is very low. To provide for robustness and reliability of applications deployed to volatile environments such as MANETs, transaction processing is a key concept. Atomic transactions guarantee consistency of data and system states. Our belief is that MANETs are a fundamental building block of ambient computing environments. 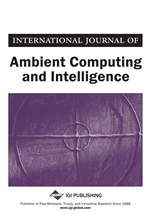 Several types of applications in ambient computing environments demand for atomicity guarantees, e.g., trading applications require money and goods atomicity when virtual goods, for example a music file, are exchanged for virtual money with persons nearby. Guaranteeing atomicity of such a distributed transaction requires agreement among transaction participants on the outcome of the transaction. This is typically achieved by an atomic commit protocol (ACP). It is generally known that in the presence of node or communication failures such protocols cannot avoid blocking (Skeen & Stonebraker, 1983). While in fixed networks such situations are rare due to low probabilities of site and communication failures, ambient computing scenarios are a more challenging environment. Generally, a blocking situation arises when participants can no longer terminate their transaction branch independently, but are forced to wait until they can learn about the global transaction decision. Compared to ACPs tailored to MANETs like (Böse et al., 2005; Gruenwald & Banik, 2001), the use of a backup coordinator (BC) (Reddy & Kitsuregawa, 1998) is a more lightweight strategy to compensate for blocking. However, it is unclear whether the use of a BC is generally beneficial in a MANET scenario, as it introduces an additional source of failure. In this article we provide an in-depth analysis of the BC scheme for MANETs. We present a calculation model to answer the question whether blocking is a relevant problem in a specific MANET and transaction scenario and thus may require use of a BC. Additionally, the model then allows predicting to which degree blocking is reduced. The remainder of this article is structured as follows: Section 2 introduces our system and failure model as well as the strict and semantic transaction model used within later sections. For both transaction models the integration of a backup coordinator is described. Section 3 presents an example MANET scenario and derives node and communication failure probabilities for this scenario. In Section 4 we describe a calculation model to estimate the risk of blocking situation caused by a node failure of the transaction coordinator and enhance the model to estimate the reduction of this risk if a backup coordinator is used in strict and semantic transaction models. Finally, Section 5 summarizes and concludes the article.